BuyVia has deals on computer accessories such as input devices, Notebook accessory deals, Apple accessory deals and more. Find cheap Computer accessories including discount mice, and ergonomic keyboards for cheap. 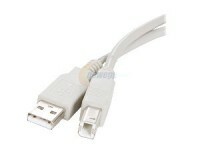 Discount cables such as cheap HDMI cables, as well as WebCams for cheap are also listed. Newegg.com has the Rosewill 6 ft. USB 2.0 Printer Cable Sale for $2.99, $0.99 Shipping. Free shipping if you have a ShopRunner account. Great low price printer cable. Don't spend a ton of money on a printer cable from other retailers.